Are you ready for the world to (maybe) end? That’s definitely what the latest trailer for Avengers: Infinity War is hinting at, because it is full of death, destruction, and more Thanos than we can handle on Super Bowl Sunday. And you know, also maybe the end of the world as we know it, if Thanos has his way. As we’ve already seen in the one and only prior trailer for the movie, going up against Thanos is going to require everyone to work and fight together. If you thought Avengers and then Avengers: Age of Ultron had a lot of Avengers in it, Infinity War has about 10x more Avengers, and then some. 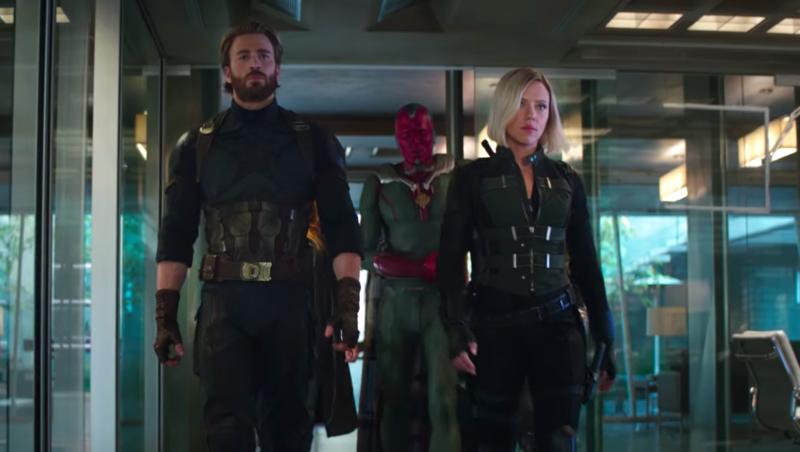 The new trailer shows us Captain America, Hulk, Falcon, Iron Man, Thor, Spider-Man, Black Widow, Black Panther, Star Lord and the rest of the Guardians of the Galaxy, Doctor Strange, Vision, Scarlet Witch… basically, if you’ve seen them in a Marvel movie over the last ten years, they’re in Infinity War. While the new teaser doesn’t reveal much more of the plot, it sure does remind us that everyone is in danger, and literally any one of them could die. We should probably start praying for ‘lil Peter Parker, who suits up as Spider-Man and takes to the sky to defeat…whatever that thing is that Thanos has brought along. It is big, it is spinning, and there’s no way Peter can take it by himself. Someone help him! None of us are ready for this, and it doesn’t sound like the Avengers are, either. Infinity War hits theaters on May 4th, 2018.